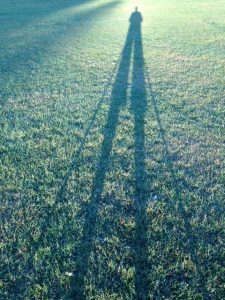 If by any chance you missed me last month, Dear Blog-reader, here’s the reason – I’ve been learning to walk with my new hip. A different kind of journey – the unavoidable demands of the slowly healing body, the necessary quietening of the spirit in response. Stretches in a tunnel, then emerging to greet the early morning sun once again. Aware in a new way of how fortunate I am to be able to walk at all. Grateful for crutches, then grateful to be free of them. In the slow hours, I look back over the year plus since this blog began, thinking of all the new people who have come into my life through the journey Uncertain Light has taken me on. They are scattered across the world, shrinking distance. We have met in reading groups, libraries, literary festivals. I revisit each moment of encounter, try to count them as I drift off to sleep. I get to twenty-eight events, strung out on a waving UK line from Glasgow to Cornwall, with flying visits to India and Pakistan. The largest audience was seven hundred. The smallest was five, in the library on the Isles of Scilly, and two of those were family members. I was amazed to get anyone, when they could have been enjoying a summer evening outside in a uniquely beautiful place. I’m told there are writers who consider it a chore having to appear at literary festivals or the like. I’m definitely not one of them – I love it. Each time I am invited to talk it feels a privilege, a rare opportunity to communicate directly. It’s also the main way I let people know that my novels exist. They have had some modest success if you judge by the recognition of literary prizes, and (considerably more important to me) by the response I get from readers, but no mainstream publisher has yet felt they could make money out of publishing them. So there is no one with connections rooting for me who can make sure they get reviewed or get me invited to major festivals. But slowly word spreads, readers who love them tell others, who then go into a bookshop and order them, or buy copies to give to friends for Christmas. Someone asked if Uncertain Light would be available in her local library. It’s a good question. There are 184,000 new books a year published in the UK – that is over 500 every day – more per capita than anywhere else in the world. Publishing a new book adds one grain of sand to the beach – who’s going to find it? 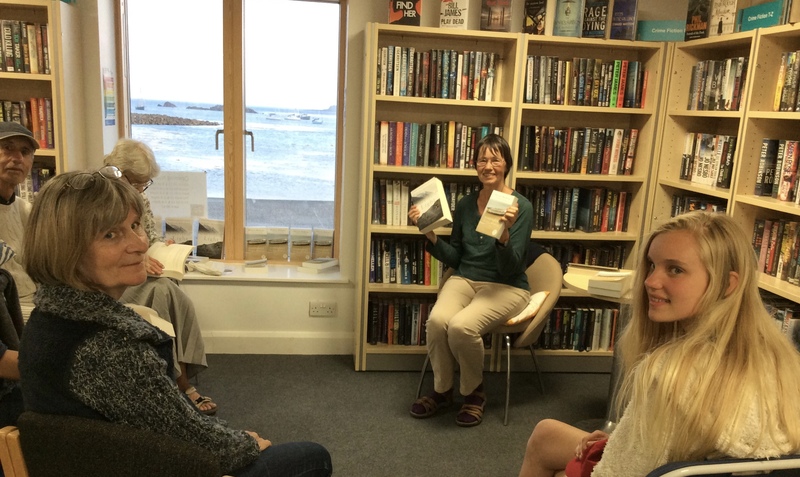 Librarians and bookshops are overwhelmed – unless the author is already famous (I’m not), how can they possibly decide which books to get? I am grateful to all those readers who have given them a helping hand by suggesting it, so others can discover it – to the friends, friends of friends, audience members, who have become my volunteer publicists. And I’m happy for every opportunity I get to spread the word wider. I have been writing fiction since my mid thirties but I’ve never been a professional writer, earning my living through writing. I am part of a huge community of people who love to write but can only do so in time carved out from the demands of a full time job and family. At first I wrote at night after the children were asleep – or with my youngest, who sometimes took a long time to get to sleep, curled up on the sofa in the room I was writing in. When they were older I woke at five a.m. and wrote until eight, when the day proper began. When friends heard this they used words like ‘dedication’, but it never felt like that. My story would wake me, and I would quietly disappear into my own world for those three magic hours. They always ended too quickly, but the rhythm worked. I have never sat in front of a computer wondering where to go with my story – it had been constantly growing in some region of my almost unconscious mind in all the hours when my attention was on other things. The short bursts of attention brought their own problems – it was difficult to keep the whole in mind, and I produced pages and pages which I subsequently decided didn’t take the story forward. Eventually I started taking a Writing Week away from home once a year (I gave it capital letters in my mind to justify the time taken from family). Removed from other distractions, I could finally weave shapes from all the disparate material I had produced. I would have loved more concentrated time, but I have never envied professional writers. No one else has had any say about when my book was ready to be shared. If it took five years (and they all have), well, that’s what it took. More fundamentally, none of my books would have been what they became without the daily stimulus of engaging with the demands of work, family, and issues of life outside me and my writing. But like most writers, I guess, I fantasize about being Discovered and my books finding hundreds of thousands of new readers. 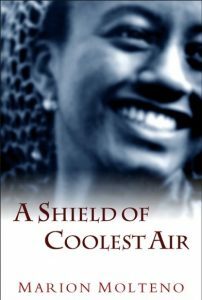 I was beguiled into thinking this might happen when my short stories, A Language in Common, were published by The Women’s Press, but when five years later no publisher would take my first novel, A Shield of Coolest Air, my friend Ralph Russell said, ‘Just do it yourself,’ and lent me £5,000 to get going. The promotional start-up was a letterhead – SHOLA BOOKS, it said, with Ralph’s address and phone number. I paid a copy editor, typesetter, cover designer, printer, and ended up with boxes of books in my front room. Now what? Producing your own book is relatively easy, as many have discovered – it’s getting it known that’s the challenge. I adopted a publishing name – other people have pen-names, so why not? – and sent out review copies. My friends posed as members of the Shola Books promotion team to phone newspapers to encourage them to review it – and to all of our amazement it got reviews in five national papers, many smaller journals, and even an interview on The Guardian Women’s Page. It had to be reprinted in six months and then again six months later. Then it won a prize- the David St John Thomas Prize for Fiction, which almost no one has ever heard of, but then no one has ever bothered to ask – the book is a genuine prize-winner, that’s enough. Something like that happens, you get a bit cocky. I assumed I would have no difficulty finding a publisher for the next book. But If you can walk, you can dance took me six years to write, and by then few people in the book trade remembered A Shield of Coolest Air. If you’ve done it once, you know you can do it again, so after months of rejection letters, Shola Books came back into action. This time there was no breakthrough – the publishing world seemed to have become even more closed – it hardly got a review. But stubbornly refusing to be discouraged, I submitted it for every prize going – why not? That was in the days before websites, so it would have taken some research to discover that Shola Books was just me operating out of Ralph’s spare room. Self-publishing had not taken off as it now has, so the major prize organisers had not yet put in clauses to prevent people like me submitting their own books. Having made my gesture I then forgot about it – until I popped in to see Ralph one afternoon and heard him saying on the phone, ‘Irene Fair? No one with that name lives here.’ He was elderly, quite deaf, and had long ago forgotten about my publisher’s name. I grabbed the phone, said, ‘Hello, this is Irene Fair,’ and was told that ‘one of our authors’ had been awarded a Commonwealth Writers Prize … Oh My God. Phone down, I went into a spin. I had to go in to the office of the prize administrators to discuss details. Would they throw me out as illegitimate, or be entertained? They did more – they adopted me. They did for me all the things a publisher would have done, flying me to New Zealand where the prizes were to be awarded. It was a wonderful week, my first ever in the company of other writers. For each of four Commonwealth regions there was a winner for the Best Book and the Best First Book. Only two were already widely known, and as it happened neither of them could come; for the rest of us, this was our first public recognition, and we were on a high of surprised excitement. Among our New Zealand hosts was a remarkable woman called Carole Beu who runs a Women’s Bookshop in Auckland. She loved my book and asked if she could submit it as an entry for the New Zealand Women’s Writers Festival that year. It was a unique country-wide festival. A slate of 20 women writers were selected, many from NZ but also international, and invited to tour as part the festival. In towns across the country the volunteer organisers chose which of the 20 writers they would like to have come and speak, and made all the arrangements. Publishers hosted the costs for their author – and having no one to host mine, I was once again blessed by being adopted. The festival organisers funded my airfare, and found a local independent publisher to take on the tasks of co-ordinating my tour, Jenny Nagel. She did it excellently, and entirely for love. 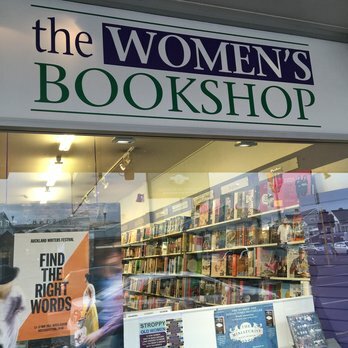 I spoke to enthusiastic audiences in seven cities and towns, and ended up in Auckland where Jenny got me an interview on national TV, and Carole and her bookshop did a great job promoting my event. My Commonwealth Writers Prize was worth £1,000, which seemed a small fortune, but more than money I needed a publisher, so I used it to pay a literary publicist to try to get me one. She didn’t, but something more fundamental had come out of the experience. From someone who wrote quietly at dawn, hidden from the world, I had become for those few weeks a writer among writers. But I was never tempted to lose sight of reality. When it was all over I flew back to Britain where few people outside my own circle had ever heard of me. There was one other, significant, legacy. Through sharing a stage with many different writers, it became obvious that being able to write does not necessarily mean you will be able read your work aloud well or communicate relaxedly in talking to a group. They are quite different skills, and many writers don’t have them. Luckily I do. Standing in front of an audience holds no fear for me, rather the opposite. My job has always been in some way or another about sharing values, skills, knowledge, and to have a group of people waiting to hear what I have to say gives a great opportunity to do that. 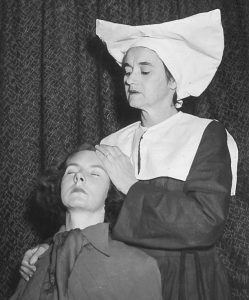 I have a photo of her and my mother from that time in the lead roles in Bonaventure, a powerful melodrama set in a convent by the now little-remembered playwright, Charlotte Hastings. I was caught by the magic of theatre, and knew I would love to be able to speak in public, so I used to cycle to Megan’s house once a week for lessons. She was closer to me in age than to my parents – in her twenties, with a young baby, and those sessions felt more like sharing something we both enjoyed, rather than Being Taught. It was Megan’s skill that helped my tentative teenage self find a confident voice, and then learn to forget about it and be carried by the meaning of what I was saying. What had happened to her, I wondered? She and her family had left for Tasmania before I left school. I knew that she had called one of her daughters Marion, which I couldn’t be sure had anything to do with me, but I loved the idea anyway. Apart from that, I knew nothing; my parents were no longer alive – this was pre-Google Search, pre-FaceBook – so there was no easy way to find people you had lost. Then she found me. At about the time that I was in that hotel in Chichester, thinking, ‘Thank you Megan,’ she had gone into a bookshop in Hobart and had seen my book. Something – she didn’t know what – made her pick it up. It wasn’t the name, she said, for when she was teaching me I was Marion Marquard. But she turned to the acknowledgements page at the back, and saw that the book was dedicated to the grandchildren and great-grandchildren of Davie and Kathleen Marquard – my parents, her friends. When I got back to London there was a letter waiting. ‘Stand beside me’ is from ‘The Undiscover’d Country’, in A poem is a Parachute, by Megan Schaffner, http://www.ginninderrapress.com.au. Thank you to all who have set up opportunities for me to speak to groups in the UK about Uncertain Light : Adrienne Howell, Angela Piddock, Anna Dreda, Anne Mulcahy, Carol Caffrey Witherow, Caroline Worsley, Cliff Marshall, Chris Gribble, Deborah Steene, Dorcas Taylor, Hector MacDonald, Jane Dews, Jean Stanley, Jonty Driver, Joy Salisbury, Julie Taylor Mills, Linda Camidge, Linda Thomas, Lisa Conway, Namita Gokhale, Nichola Charalambou, Rosemary Welchman, Susan Murray, Tim Hannigan, Vicky Timbers, Wendy Kirk. Your latest blog was interesting. I hope you are as fortunate as I was with my new hip. The release from pain and the restoration of enjoyment of country walks was marvellous. I self-published a collection of letters which I wrote from Barotseland in Northern Rhodesia to my parents and girl friend in Scotland nearly 60 years ago. Sales have mainly been to friends and readers of “The Overseas Pensioner” magazine which reviewed my book. I have arranged to speak to various social groups, history societies and library book reading groups and have arranged over 10 of these. I’ve come to realise that writing is the easy part, selling the hard and it’s got to be done by my own efforts. I’m not nearly so well organised as you nor so able. 300 sold so far; only 700 to go. Oh Marion, you really are a brilliant writer you know. I have encouraged everyone I know to read your books. I have read three of them so far, each one twice and I will read them again, but your blog chimes so much with me. As you say it’s not the writing , it’s getting the publicity. I too publish my own books. I am Spike Press. I have had hundreds maybe more than a thousand letters from people who love my poems and I have been fortunate to read at several festivals, but not enough and never at the truly prestigious ones, although Wenlock is quite prestigious now. I won the Callum MacDonald Award , but even that didn’t bring the rewards I hoped for. Unlike you though I never did push myself, always doubting the worth of my poems, despite lots of praise. I can’t seem to break through into the circles of the great and the good and the favoured, but I’m not giving up. I do sell a lot of books, by poetry standards. I’m fortunate that the galleries and museums on North Uist display my books really well, and of course we have lots of visitors to the island. I’m looking forward to working with you. We at Spinifex have continued to keep your book in print and I know that this last weekend when we had a 25 year anniversary celebration, I’m pretty sure we sold a copy. We hope to continue doing this. It is also in our 25-year complete catalogue. Lovely to read your blogs. 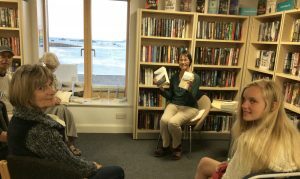 Marion, as one of the writers who was there in New Zealand, [for my first book Difficult Daughters] I can say what a privilege it was to have met you there, and to have connected with you recently. You are a brave and wonderful writer. Marion, I love your sense of gratitude and humility ! Marion, what a wonderful spell your writing has cast on your books’ readers. I’m thrilled to discover your unique voice.